For nearly 30 years Powers Ventures has been proudly serving southeast Minnesota building a strong reputation on respect, honesty, trust and integrity. Canadian Honker Enterprises includes the Canadian Honker Restaurant, Canadian Honker Catering, Rochester Event Center and Canadian Honker Events Apache. Powers Ventures is Southeast Minnesota's largest and most experienced caterer and is an invited member of "Top Gun" an industry exclusive group through CaterSource featuring some of the world's top catering and restaurant organizations. We believe we have a social and moral obligation to help improve the quality of life for all those we serve. By giving back and supporting the needs in our community we'll not only help those around us but we will also have greater societal impact. At Powers Ventures we are committed to being a good member of society and helping those in need. To date our organization has given over a million dollars in cash donations to address issues of hunger, affordable housing, homelessness, youth development, community development, education initiatives, seniors citizens, military and veterans. In addition, we have donated half a million pounds and counting of food to community causes like the Channel One Food Bank, Salvation Army and the Boys and Girls Club. The organization also helped found Rochester's Community Food Relief. There isn't a critical community cause or initiative that the organization hasn't raised his hand to be a part of. Our key management team has over 50 years combined experience in the food service and hospitality industry. Our philosophy at Powers Ventures is commitment to 100% guest and customer satisfaction as we empower our team to 'do what it takes' to help our philosophy come to life. Talk more about "we" and less about "I" and "me"
Born and raised in Rochester, Minnesota, owner Joe Powers began working as a dishwasher with the Holiday Inn South while still in high school. Upon graduation he began work first as a Sous Chef and then was promoted to Executive Chef for Lebristro’s French Café. At age of 21, Joe opened the Canadian Honker Restaurant, located across from St. Marys Hospital, that in 26 years has served over 3 million customers. For nearly 30 years the stability and reputation of the brands of Powers Ventures has been recognized as a national leader in food service excellence, catering and event facilities. As one of Minnesota’s largest catering organizations, annually Powers Ventures produces more than 250 weddings per year and an estimated 1,500 corporate and social events. 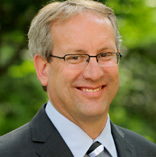 Joe enthusiastically serves the greater Rochester community and is an active board member of; Rochester Area Foundation, Shjon Podien Children’s Fund, First Homes, Poverello Foundation, Rochester Convention and Visitors Bureau and Destination Medical Community’s steering committee. Cris Powers’ career in restaurant and catering management spans more than 25 years. He has managed the catering operations for the company growing it into one of Minnesota’s largest caterers. Annually Powers Ventures produces more than 250 weddings per year and an estimated 1,500 corporate and social events. He works with a team of experienced and dedicated chefs to create the freshest and most unique, tasteful offerings. The company’s success, Mr. Powers notes, comes from the fact that everything is approached from the customer’s perspective. From the first impression of a client’s initial contact through the planning, preparation and facilitation of the event, these are all elements that add to the formula for their success. It’s all done with the end goal of consistently creating 100% customer satisfaction. Joe Powers, Jr. has had a passion for the hospitality industry his entire career and has worked with Powers Ventures since he was 14 years old. From restaurants to hotels to catering his diverse experience focuses on company financials, banquet coordination and overall customer service. 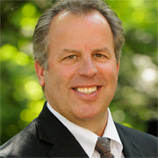 A Rochester native he is active with the Rochester Area Chamber of Commerce and several nonprofit organizations. 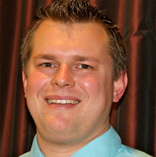 Peter joined the team in 2011 as Events and Sales Manager. Peter brings leadership and vision to our team backed by nearly 10 years of experience in the hospitality and nonprofit industry with positions as a server and bartender to marketing manager. Peter is well versed in excellent customer service and event planning. He is also a certified Professional Food Manager. 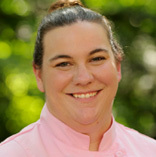 Top Tier Delights is under the leadership of Pastry Chef Dawn Hodapp. Prior to joining the Powers Ventures family, Hodapp was the lead baker with Sun Valley Resorts in Sun Valley Idaho. Hodapp received a bachelor’s degree in baking and pastry from Johnson & Wales University in Rhode Island. From there she continued to hone her craft with various restaurants and resorts throughout the upper Midwest. Her love of all things culinary runs deep and is truly a family affair as her husband Christopher Hodapp is the new Executive Chef for the Rochester Event Center. Prior to joining Powers Ventures/Rochester Event Center, Chef Christopher was the Executive Chef for the prestigious Sun Valley Company in Sun Valley Idaho a location known as the playground for America’s rich and famous. Chef Christopher enjoyed creating innovative offerings to some of the world’s top business and political leaders and Hollywood elites. 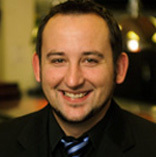 In addition, Chef Christopher has held various chef and cooking roles with restaurants throughout Idaho and Minnesota. 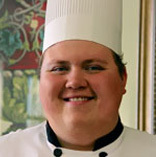 Chef Christopher is an honor’s graduate of Le Cordon Blue College of Culinary Arts.